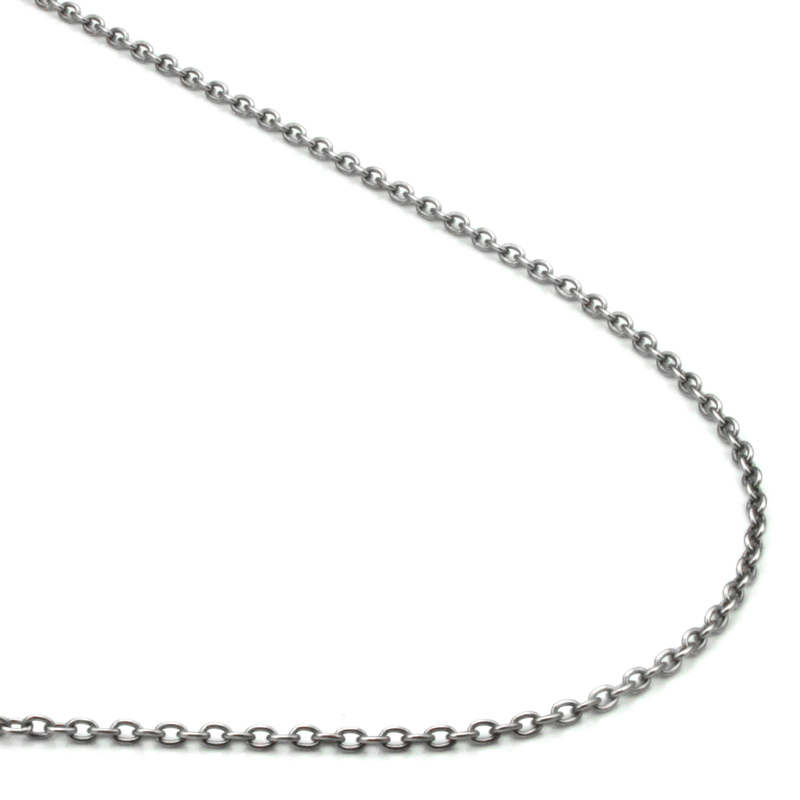 A simple chain like this one is the perfect canvas to express your imagination. Besides being worn alone, this chain is very popular for hanging charms and pendants. Different lengths of this chains are often worn together in a layered fashion. As with all of our titanium chains, this chain is made from 100% true titanium in all parts. It is feather light, tarnish proof and hypoallergenic. This necklace is all available in 3MM.